As I said earlier, I am going to keep posting quick and easy slow cooker recipes which are hearty and delicious. 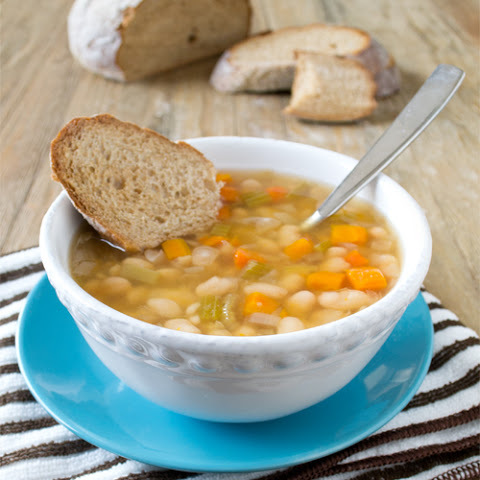 Today’s recipe is Italian Bean Soup – 4 kinds of canned beans, some seasonings and beef broth gives this recipe a lot of flavor and bite to it. Way better than canned soup! If you don’t have a slow cooker, I advise you to get one and try out all the recipes that I’ve posted and will continue to be posted, because they’re easy and delicious and you don’t have to stand around tending to it. Start it in the morning and come home in the evening to a hot dinner. Great for people with tight schedules, great for people who work different hours, great for people who don’t know how to cook, great for people who don’t have much space… Slow cookers are great for everybody!! Keep checking back for more slow cooker recipes! Today is Monday – Do You Have Anxiety?